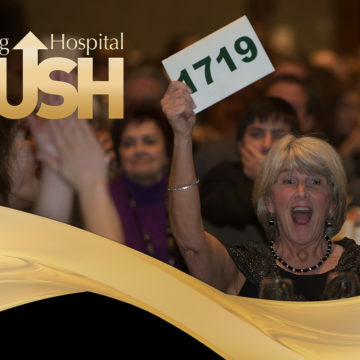 ENGLEWOOD, Colo.—Craig Hospital’s biggest fundraiser of the year, the annual PUSH dinner, was held on Friday, Feb. 28. 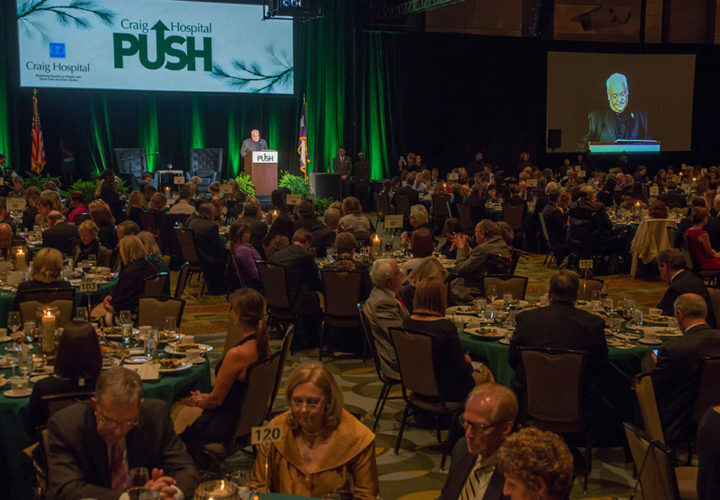 The gala event, sponsored in 2014 by FirstBank, raised $1,149,385 to support Craig Hospital’s programs and research. 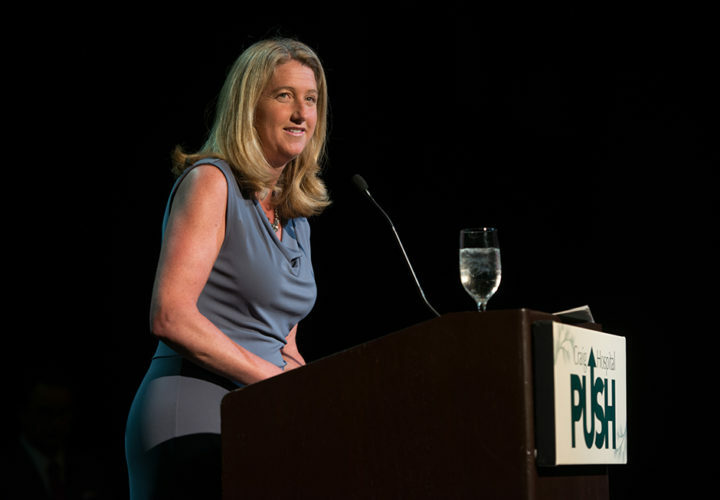 Nearly 1400 people attended the sold-out event. 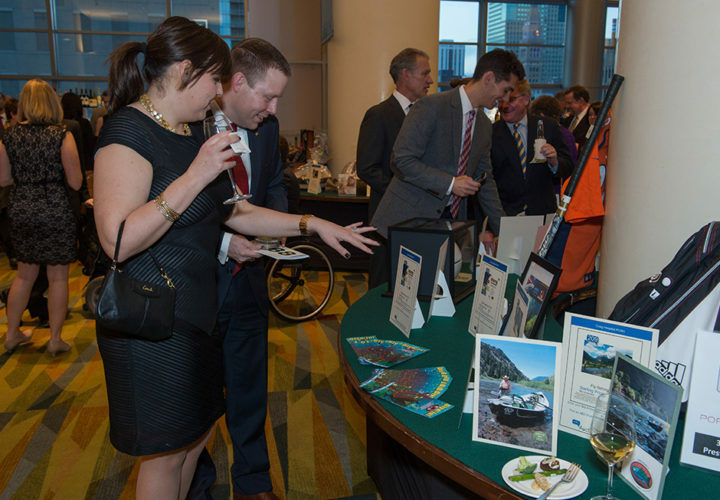 Guests check out silent auction items during cocktail hour. 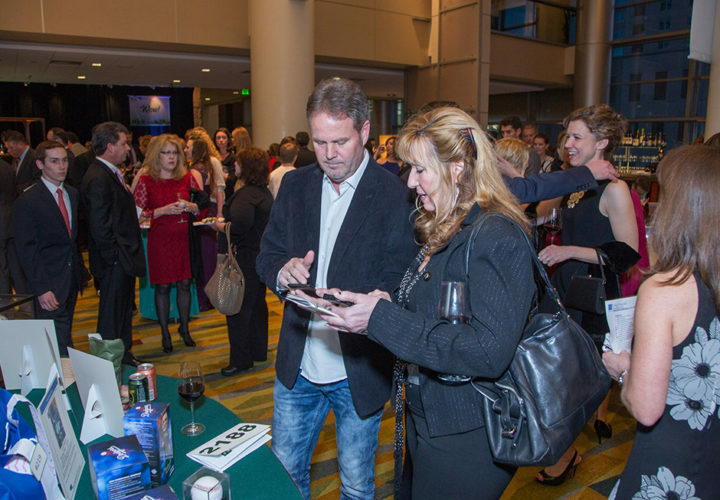 Attendees bid on silent auction items through the PUSH mobile app. 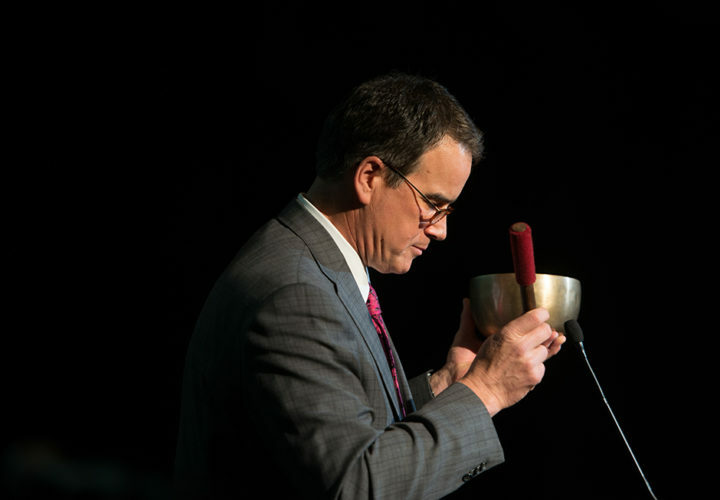 Emcee Jim Benemann rang a Tibetan singing bell to start the program. 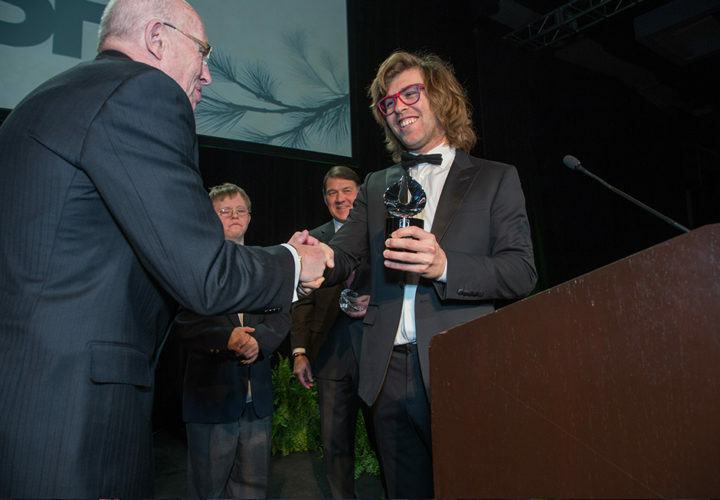 PUSH founder Art Seiden presents the 2014 Inspiration Award to Kevin Pearce. 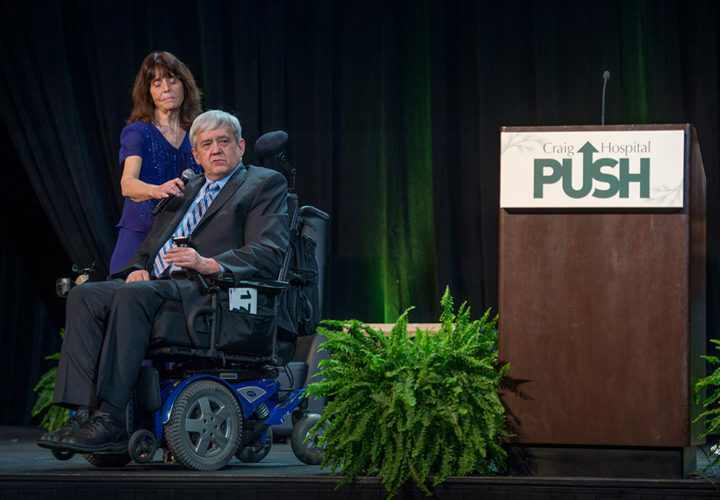 David Pearce congratulates his brother Kevin on receiving the Inspiration Award. 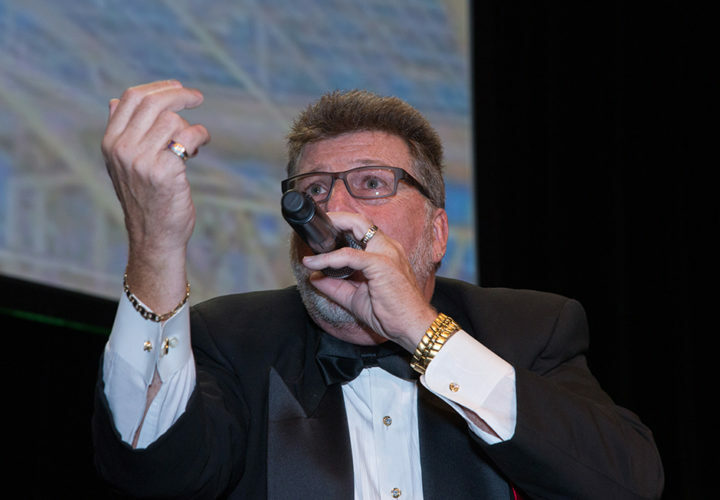 Renowned glass blower Simon Pearce, father of honoree Kevin Pearce, addresses the audience about their family's experience at Craig Hospital. 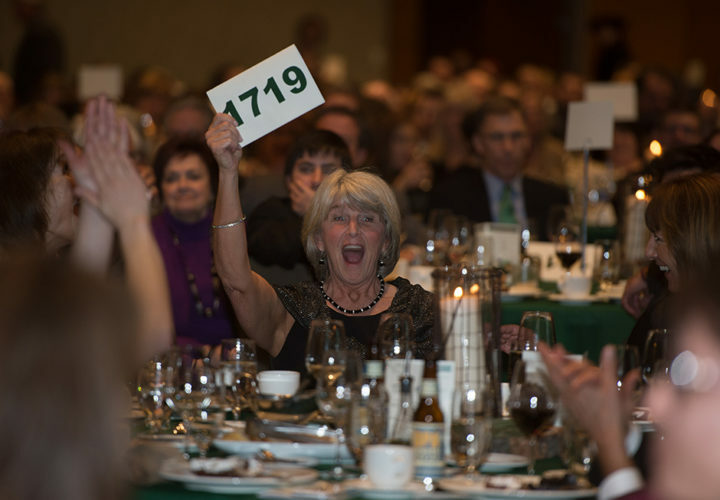 Craig grad David Larkin and his wife Kristy introduce the Patient Assistance Paddle Auction. Don Martin auctions off a trip to Vermont. 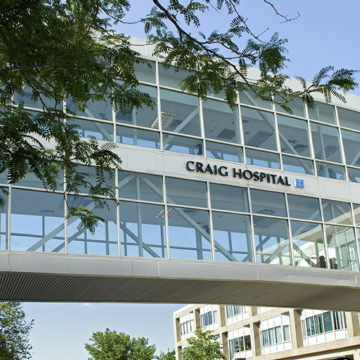 The Craig Hospital Foundation supports the Craig Hospital in achieving its goals through philanthropy. 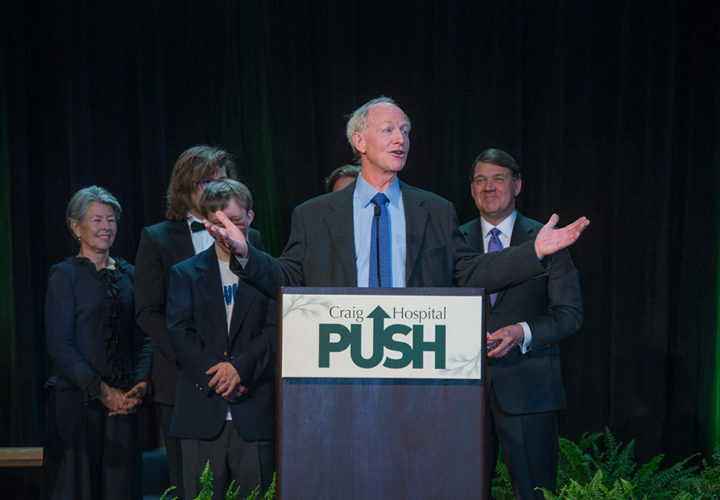 Operating in accordance with the philosophy of Craig Hospital, the Foundation builds lifelong relationships with contributors, raises funds and dedicates its resources to further advance the needs of Craig Hospital and those it serves. 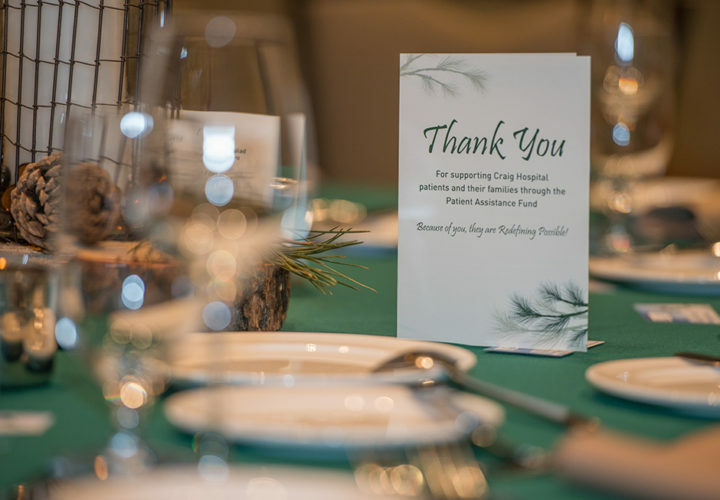 Guided by a dedicated and civic-minded board of directors, the Craig Hospital Foundation offers members of the community a number of meaningful ways to support the hospital’s work helping people rebuild their lives. 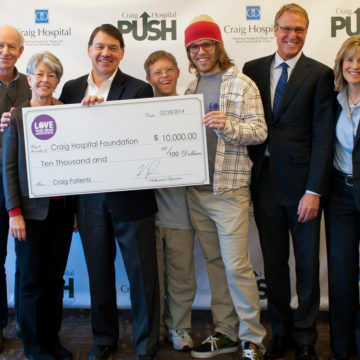 www.craighospital.org/foundation.